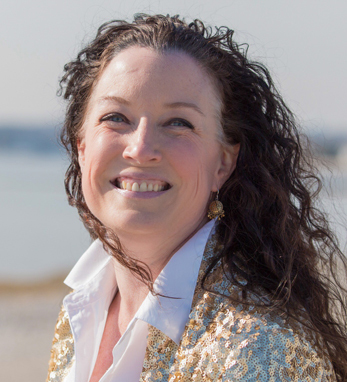 In July 2015, Eileen Scully launched The Rising Tides to advise organizations on making their workplaces more equal for female employees, establishing a business culture that supports their professional and personal lives. This spring, she will publish her first book, In the Company of Men: How Women can Succeed in a World Built Without Them, showcasing the stories of women who have had remarkable success in male-dominated spaces and are widening the path for other women. Born in Connecticut, Eileen had always been aware that she was adopted and of Irish stock, but did not learn that she was a first-generation Irish American until, pregnant with her own daughter, she sought out the medical information of her birth parents. “My first trip to Ireland was in 1984 and I felt a strong connection to the country. It made perfect sense later, when I learned of my lineage,” she says. Her daughter, Kathleen Erin, now lives in London. Eileen, who attended Hofstra University and lives in Massachusetts, is also active on the boards of the Get In Touch Foundation and the Innovadores Foundation.